WOW! 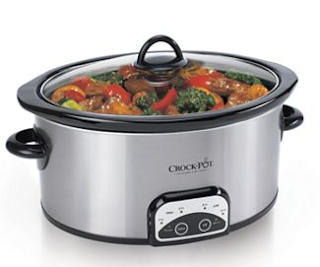 If you've been wanting a NEW crock pot, this is a great deal! I’m thinking of grabbing some as gifts! Final cost will be only $4.99 after coupon code and rebate! Also, you will receive $15 Kohl’s Cash for every $50 you buy! In addition, FREE SHIPPING with $50 purchase!